The man chosen to be first out of the mine where 33 men have been trapped for more than two months is a shy father of two who was caught along with his brother when the mine collapsed. Shortly before the rescue was due to start on Tuesday, Chilean President Sebastian Pinera teased journalists at a news conference that he was pretty sure the first one out would have the last name of Avalos. There are actually three men with that name trapped below. But Maria Silva said the president himself had told her it would be her son Florencio Avalos. Avalos, 31, is married and has two children. Avalos had been the second in command of the group before the collapse, assisting his friend Luis Urzua. But friends describe him as shy. After the men were found and cameras sent down, he often acted as cameraman, taking pictures of the other miners - a role that frustrated relatives who saw little of him in the videos. "I am not surprised" that he was chosen, his mother Maria Silva said after word reached the family. "I am so proud of him." 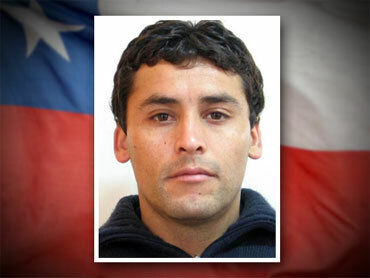 Government sources revealed Tuesday that Avalos' rescue would be followed by that of miners Mario Sepulveda, 39, Juan Illanes, 51, and Carlos Mamani, a 23-year-old from Bolivia. The three men are considered the most skilled group, able to solve any problem during the rescue. Then, the 10 who are weakest or suffer from hypertension, diabetes, dental and respiratory infections and skin lesions from the mine's oppressive humidity. The last miner out, according the list, will be shift foreman Luiz Urzua, whose leadership was credited for the miners' survival during the 17 days when they were utterly closed off from the outside world.